Don’t think the Republican Party is the party of racists and bigots? You don’t think America still has a long way to go before it fully realizes the dream of most of the people who elected Obama, or to realize this country’s potential? Take a look at the video below! Why bring this up now you ask? Sarah Palin is still commanding attention and speculation about whether she will run in 2012; Donald Trump has decided to throw his hat into the politcal ring and he began with the same time worn cliches about Obama that defeated the GOP in 2008 and he’s had a strong showing in polls of Republican voters. The tea party was formed in response to the GOP loss in 2008 and many of its members, a few we’ve talked about here, have continued the racist rhetoric that is evident in the video below. No doubt the GOP will present itself as the party of fiscal conservatives, responsible government, etc.. but that’s a facade. The real face of the Republican Party is the one that pushes people to the brink of fear and panic with overt and indirect references to race, religion and offers itself as a panacea for all that ails the country. They see nothing wrong with doing that and have enlisted the help of women, like Palin and blacks like Herman Cain, Allen West, et.al who can make the ridiculous claim that because they are saying such dastardly demagogic speech it’s not racism or bigotry. In reality, such people, photogenic, sophisticated looking people are nothing more than lipstick on a pig. No matter how you dress it or who you use to spout it it’s still ugly, virulent and yes protected free speech, that is xenophobic and divisive. What such forces of darkness are counting on is an ignorant, fearful, wanting to be led by the nose electorate who will believe anything they are told and produce the desired results at the polls. Aren’t we better than that? America, deal with your problem! The minister in Florida who wants to have a burn the Quran day on September 11 says he won’t back down from doing it and I say good for him! 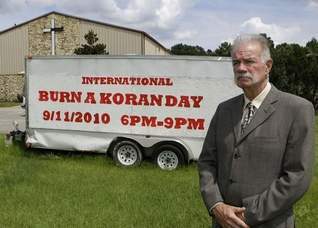 It is his constitutional right to burn copies of the Quran, the religious book of Muslims. 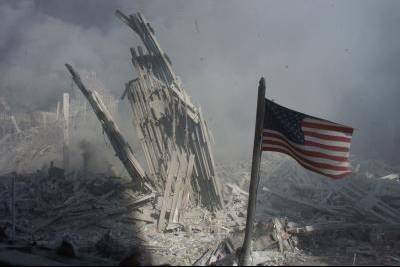 Let’s not forget we live in a country where it is the right of any American to burn the US flag, and we all remember the turmoil reaching that decision caused America. It is one of the “hazards” of living in a free society; protested speech against patriotic or religious symbols is not illegal. American Muslims more than any other group, should understand that, and should register their disagreement with the burning of Qurans act,with thoughtful and or provocative editorials like this one , or planned peaceful protests like this, for even though what Jones wants to do is legal it is morally reprehensible. That’s as far as his opponents should take it, however. It is this type of dissent Muslims should expect from those who oppose their building of a masjid near the site of the former WTC buildings; one may disagree with the building of the Cordoba House at Park 51, and may protest the building going up there, however it is the right of the supporters of that project, codified by the legal authorities responsible, for the house to be built there and Cordoba House’s supporters should proceed with resolve to see it through even during times of intense opposition to it AND the opponents should resign themselves to the inevitability of its completion . What will then become a true battle of ideas a distinction between those who oppose book burning versus those who oppose a religious house of worship will be how the different groups express their opposition and accept the rule of law. In other words, the behavior of the opposition will have more of an impact on the public debate about the presence of Islam in America than the action which spurs that opposition. America will have to choose between those who promote racist, stereotypical, violent reaction to protected speech and religious freedom and those whose opposition is principled, respectful or thoughtful. Given America’s past inclination to mob/racist rule the outcome is not so certain and definitely not in the near future. One of the reasons why we must have this frank discussion about race in this country is because the racist template we’ve set for ourselves over the years allows us to insert whatever group of the day we want to hate into it and then hurl invective and discriminatory actions at them which we try to make into law to suppress them. We still have not managed to steer clear of this disease because we haven’t really tried to cure it. Saddle up America, here we go again; we’re in for another protracted campaign for the soul of this country. Jones did back down and if anyone can understand the reasons why he did so, please explain them to me. The man who claimed to have received messages from God is unfathomable, sick, crazy in the head and one as intimately familiar with him as his own daughter has come out and said so. There’s even mention of a mental disorder here as well. Why we, citizenship media as well as corporate media gave him so much of our time, bandwidth and news print is one of the mysteries of life. A “pastor” with a minuscule congregation of about 50 managed to hold the entire world hostage with his delusions of grandeur and his fear injected venom which paralyzed a nation, diverted its attention from a more pressing national agenda than his personal dementia and left us, after his ‘never mind’ moment feeling used and abandoned from it all. We deserve it….we put in way too much time feeding the ego of a man whose ego is as large as any other megalomaniac or larger, being called by a US Army general, the Secretary of Defense, the FBI, the NYC police chief and countless others who otherwise wouldn’t give you the time of day can be very gratifying, but what did all of that give us, the People? It revealed for us that dark side of our collective nature that loves to be frightened and angered; it allowed the haters in our midst to feed us their daily ration of hatred and loathing for “others” who are really “we”, “us”. Someone wrote on their headline, ‘Florida Pastor Makes National Jackass of Himself’….and my answer would be no he didn’t. He made jackasses out of us. It won’t make that much difference in people’s attitudes about Israel, although it should be extremely embarrasing to official Washington, the admission or rather revelation that Benjamin Netanyahu lied in order to sabotage the Oslow Accords back during the Clinton Administration. It’s no small foot note that Netanyahu is now the Prime Minister of Israel and no doubt still lies; it’s hard to teach an old dog new tricks, dontcha’ know. he deceived the US president of the time, Bill Clinton, into believing he was helping implement the Oslo accords, the US-sponsored peace process between Israel and the Palestinians, by making minor withdrawals from the West Bank while actually entrenching the occupation. He boasts that he thereby destroyed the Oslo process. He dismisses the US as “easily moved to the right direction” and calls high levels of popular American support for Israel “absurd”. Many within the Israeli leadership as well as the apparatchiks here in America were opposed to the Oslow Accords because they claimed, as usual, Israel was being asked to give up too much. Netanyahu’s conniving position was no doubt taken so he could appear to be the more moderate and acceptable leader for Israel….a diplomatic version of good cop, bad cop, the bad cop being the bloodthirsty Ariel Sharon. In reality Netanyahu is much worse. The video which contains these statements by Netanyahu, which also appears below, has been circulating around in Israel for a period of time yet no one of the so called liberal Israeli public opinion, which we are told is far more open to criticism of Israeli leadership because they get better media coverage and a more critical viewpoint of Israeli government shenanigans; no one from this elite society of free thinkers has uttered a call for Netanyahu to resign. No one seems the least bit concerned about the effect this news will have on Israel’s international relations. One wouldn’t really expect them to be concerned at all; the Israelis have positioned themselves so far to an extreme nothing short of a war in which they are alone on one side facing everybody else would make them rethink positions they have come to hold so dearly today. But it is interesting to this observer that the video appears after Netanyahu’s visit to the US just a few short days ago and is just one more ‘in your face’ statement made to belittle and demean the ‘world’s only superpower’. Somehow, that expression- world’s only superpower, just doesn’t have the ring to it it once did. Perhaps this also gives people in the west, if they care to stop and reflect just once, an idea of the frustration the Palestinians have felt toward the Israeli government and people. The leaders of Israel openly admit their signature on treaties, commitments, agreements aren’t worth the paper they are written on, and this deceit is carried out with the full knowledge and approval of Israeli citizenry. The Party of “no”, the Republicans are so used to lying and not having their statements checked that they do it recklessly. Eric Cantor is the latest victim of his own carelessness. He denounced the Democrats while they were on their way to winning the health care debate because as he claimed they were responsible for heated, incendiary rhetoric which drove the masses to threaten him and indulge in acts of anti-semitism. While anit-semitism, as well as Islamophobia, are indeed rampant in todays societies, the threat against him, which he says took the form of a gun shot directed towards his district “office” has been proven without a shadow of a doubt to be a lie. Cantor just wasn’t counting on you discovering that, and why should he? The corporate media, all of it, not just the right side of the spectrum represented by FoxNews or any of the talking radio heads, has done nothing but be a mouthpiece for the Republican party since the beginning of this century. So when the address of 25 E Main Street in Richmond was given by Cantor as the location where a bullet was found everyone assumed, jumped to either deny the accusation, repeat or doubt it. It didn’t matter that the building at that location had no identifying marks to Cantor, we all guffawed or believed the lying Republican. Then the police report came back saying the bullet was a stray bullet not meant for the premises but Cantor’s veracity remained intact and unchallenged. Until….Until the lid was blown off, not by corporate media, but by alternative media and Cantor was discovered lying. It turns out the address 25 E Main Street is not in Eric Cantor’s district but rather in the 3rd district of Virginia which happens to be the district of congressman Bobby Scott, Democrat. 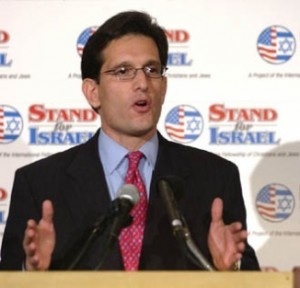 Why would Cantor give an address for an act of violence directed towards his “office” in a district that is not his? Sloppy victimology. Could it be the perpetrator of this crime, that of intimidation and destruction of property, was directing it towards Scott and not Cantor, who decided to make political hay of it by claiming victim status for himself. A look at Scott’s legislative record who is a liberal Democrat who voted for the Obama health care proposal reveals him to be the kind of politician today’s tea bagger would certainly love to shot at or intimidate. With the political right calling for such action against its enemies as breaking windows and a window broken in the district of a health care supporter, it wouldn’t take much of a jump for an ambitious politician to claim victim status for himself even when nothing about what happened had anything to do with him. Therefore, you need to keep a sharp ear out for the name Eric Cantor, a politician who can easily and seamlessly lie about anything for political advantage, not blink an eye and not be held accountable by his friends in corporate media. 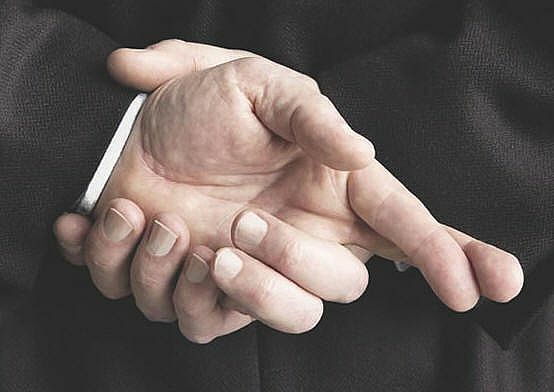 For liars and politicians,it doesn’t get any better than that!